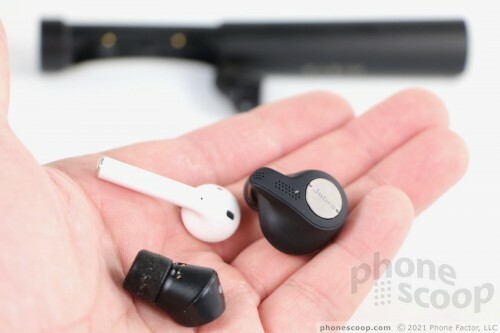 Headphone makers have done a fantastic job over the last year improving the performance of fully wireless Bluetooth earbuds. As recently as summer 2017, such headphones delivered crummy battery life and inconsistent connections. Today, both have come a long way, across manufacturers and earbud styles. With these basics met, it's time for Bluetooth headphone makers to up their game — and that's exactly what Earin claims it has done with the M-2. These headphones are incredibly small, yet offer similar battery life and sound quality as competing models. As long as music and call quality are your priority, the M-2 are worth consideration. 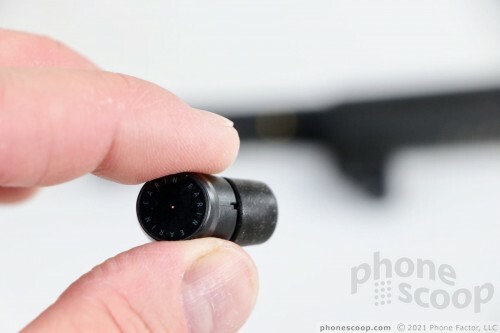 Slipping the M-2 earbuds into your ear makes you feel like a secret agent. You know what I mean. How many times have we seen action heros, spies, and military teams slip teeny buds into their ears — that are mostly invisible to others — for communications? The M-2 earbuds are the smallest earbuds we've tested to date, and made me think for a moment that I was James Bond or Ethan Hunt. 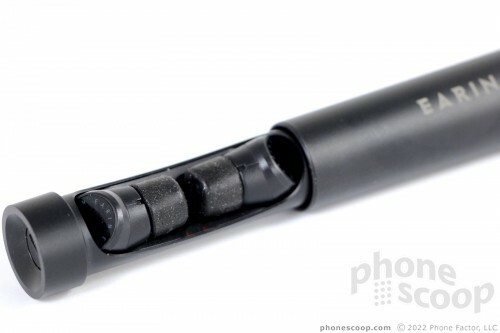 The M-2s come in a narrow, cylindrical carrying case that doubles as a charger. The cylinder is made of metal, which I totally dig, and has a matte black paint job. The metal tube feels way better to tote around than the plastic blobs that charge the Apple AirPods or Jabra Elite 65ts. 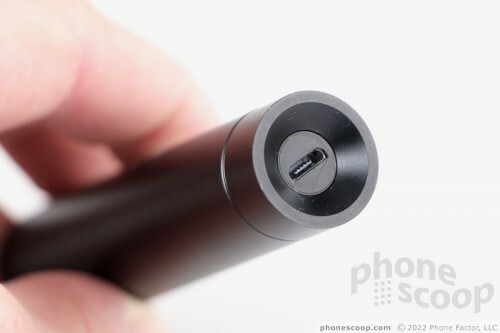 A microUSB port is at one end of the tube. Three orange lights near the port blink when the case is charging and glow steady when the case is charged. They are small and hard to see, which is why they are three of them. I kind of wish they used the red (dead), orange (charging), green (charged) color scheme adopted by others. Hold the cylinder level with two hands and pull it apart gently to reveal the two buds. Each bud is nestled in its own cradle and held in place magnetically. Two more orange lights — one next to each bud — let you know the charging status of the individual buds. Unlike other wireless headphones that have dedicated left and right buds, the M-2s are identical and interchangeable. You can put them in either ear and they will work just the same. The software is smart enough to know which one you put in your left/right ear and adjust accordingly. No other bud we've tested does that. The buds themselves are barely an inch long, and rather narrow themselves. A circular, capacitive surface is angled out at one end of the M-2s. This needs to face forward when you insert the buds. Four sets of foam tips are included in the box and it's vital that you position them in your ear properly. There are no buttons, only the capacitive surface. 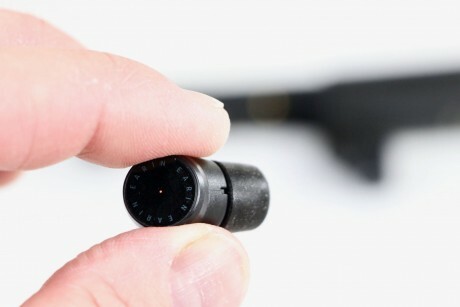 You'll need to learn the M-2's version of Morse Code to get them to function properly. For example, a quick tap on either bud will answer/end calls or play/pause music. A double tap skips forward a track, a triple tap skips backward a track. Press-and-hold to access Siri or Google Assistant. The one function the capacitive surface doesn't handle is adjusting the volume. You'll need to do that directly on your phone. That's a bit of a bummer. I like the capacitive surface, as it negates the need to seek out tiny physical nubs to control music playback. 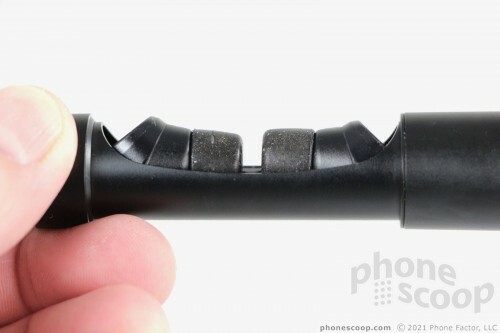 Small copper contacts make it clear which way to orient the buds when you place them back into the charger, which holds them in place magnetically. Once they're settled in, push the case back together and the ear buds will charge while they sleep. Earin's app is mostly garbage. It is such a hassle to connect to the earbuds that I almost recommend you avoid the app completely. The Earin M-2 app is available to both iOS and Android devices. The user interface and functionality is identical between the two platforms. The software walks you through the process of connecting the buds to the app. 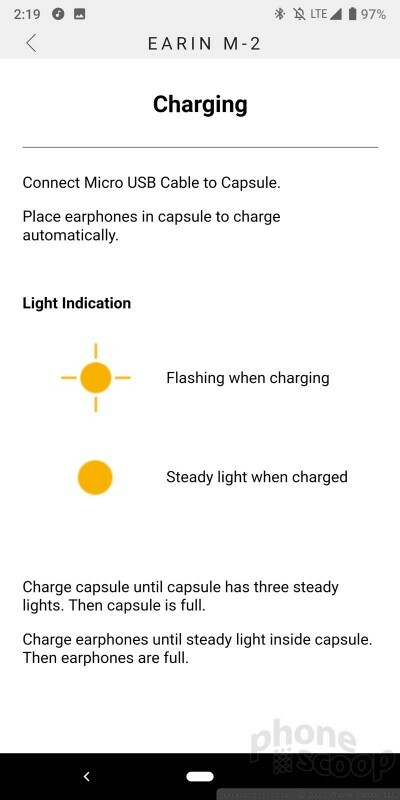 The issue here is that the individual earbuds have their own direct Bluetooth connection with the phone. 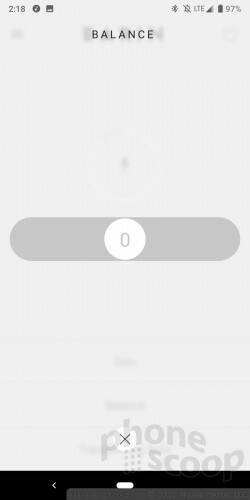 The app almost always found the first bud quickly, but then almost never found the second bud. This was super annoying. 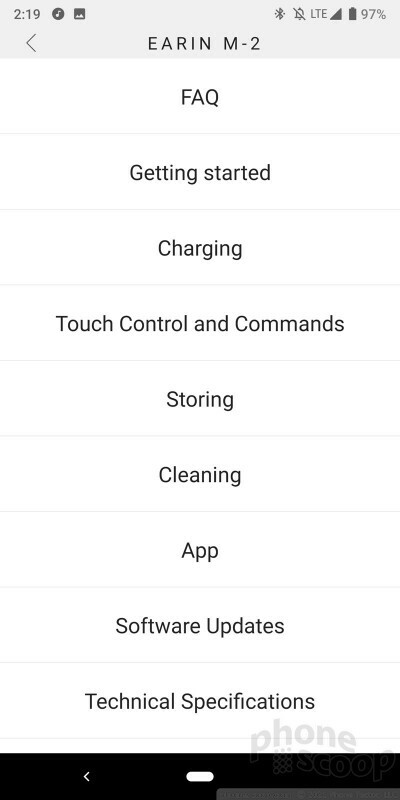 If you skip the app and use the system settings to connect, you won't have any problems. 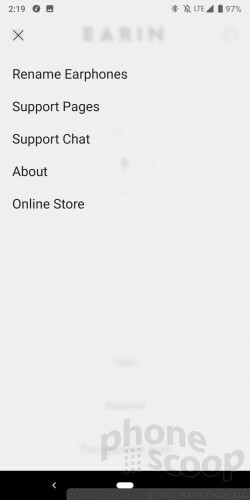 If you're able to successfully get the app to recognize both buds, you can do a few things. 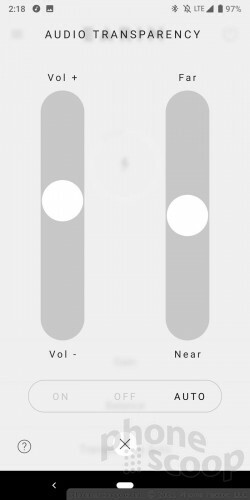 On a base level, you can adjust "gain", which is another way to set the headphones' volume relative to the phone's volume. You can also adjust what Earin calls "transparency." You can set transparency to always on, always off, or auto. This tool enables you to hear your surroundings (or not) when music is playing and phone calls are in progress. It basically lets you dial in how much background noise you want pushing through to your ears. With transparency off, you can't hear any background noise. When on auto, transparency is off when listening to music/calls, but comes on when you're in standby. This is the best option. The default is for transparency to be set to a medium setting in auto mode. I'm aggravated the app doesn't include an EQ to let you adjust the sound of the headphones. If you're going to bother me with an app, you can at least let me futz with the sound. The app also powers software updates, offers access to simple instructions on the M-2's use, and delivers info such as specs, contact numbers, and FAQs. 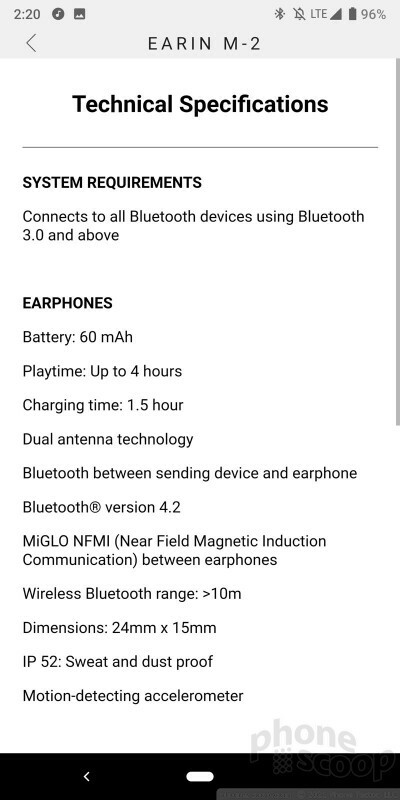 Your best bet is to connect the M-2s directly to your iPhone or Android phone using the system settings, This ensures your phone makes the right connection to both buds. The M-2 rely on Bluetooth 4.2 and include both AAC for iPhones and aptX for Android phones. I found over the course of testing that the buds almost always remained connected to my phone, and to one another. Truthfully, the only thing that messed up the connection was the Earin app (which is why I recommend you stay away from it.) The M-2 are limited to the standard 10m (33ft) Bluetooth distance and will cut off quickly when you reach that threshold. The two individual buds never got out of sync with one another. That's something Earin got right. As far as sound is concerned, the M-2 walk a different path. 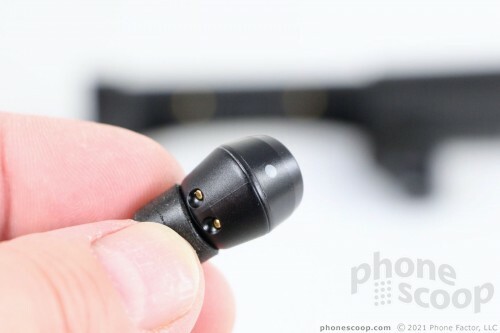 Where most in-ear buds use traditional magnetic drivers (6mm, 8mm, etc. ), the M-2s use Knowles Armature Speakers. These operate wholly differently from typical drivers when it comes to generating sound, but they have the same 20 Hz - 20,000 Hz frequency range that most drivers do. Armature speakers were first developed for hearing aids and are meant to operate in the smallest form factors. Does the music sound good? You betcha. I was shocked by the clarity and warmth the M-2s delivered to my ears. I think acoustic, orchestral, and jazz sounded best, but rock, EDM, and R&B didn't sound shabby, either. The M-2s offer a relatively flat sound profile so they work well with most music styles. Sure, you'll get more bass out of some Beats or cleaner highs from some Jabras, but the M-2 find a nice sweet spot in between that feels balanced and true. You can adjust the EQ curve only via your phone or music app, and I found this was all that was necessary to find the sound I wanted. Voice calls also sound excellent. Despite the small stature, the M-2s house multiple microphones that work with processing to minimize background noise and clean up the clarity of calls. The battery life rates average for this form factor. The buds are capable of pushing through up to 4 hours of continuous music playback, and that's what I experienced over a week of testing. The carrying case can recharge the buds about 2.5 times, offering up a total playback time of 14 hours when everything is fully charged. 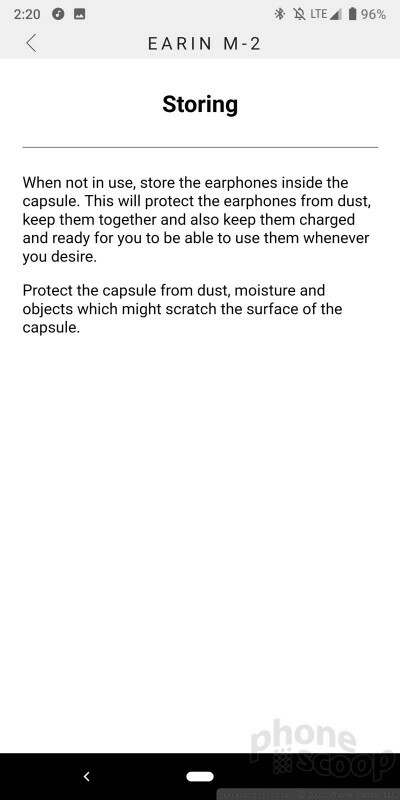 This is right in line with competing wireless earbuds. The Earin M-2 are a bit unique. They target a specific segment of the market — those who are interested only in a good music and voice experience. Although the M-2s rate IP52 and can handle some sweat, fitness buffs who want a workout buddy need not apply. These small earbuds are among the tiniest in the market, which makes them comfortable and easy to wear. The case is well-designed and provides the M-2s with plenty of backup power. 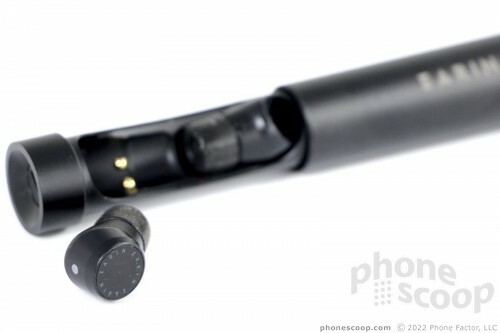 The hardware is simple, interchangeable from ear-to-ear, and simple to control via the single capacitive touch surface. The battery meets the minimums for this form factor and Bluetooth connectivity is where it needs to be. The M-2s sound very, very good, but stop short of excellent. I have to slap some demerits on the the Earin app, which is next to worthless. 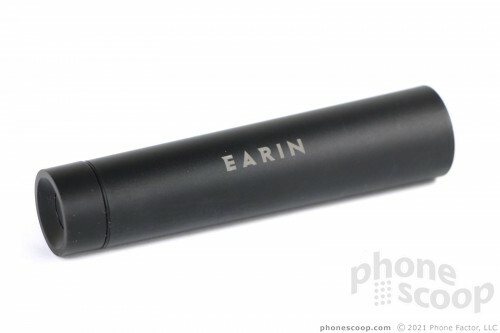 At $250, the Earin M-2s are a bit pricey. You can score both the AirPods and Elite 65ts for about $170. Are the Earin worth the extra cash? If you want a minimal footprint with excellent voice call quality to balance the music performance, then the M-2s are a good choice. Zagg this week announced five new iFrogz Bluetooth headsets, all of which are among its most affordable to date. The standout is the $20 Free Rein Wireless, a set of Bluetooth earbuds with a flat neck cord and and an unusually small, light hanging module with the battery and three buttons. Samsung today announced two new fitness-themed wearables. The Gear Fit2 is a second-generation, wrist-worn activity tracker with GPS and heart rate monitor. 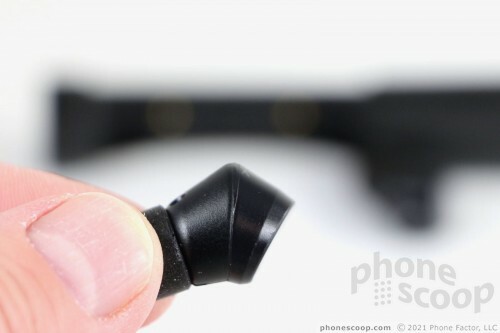 Samsung today announced the Gear IconX 2018 wireless earbuds. These Bluetooth headphones are separate buds that come in a charging case. 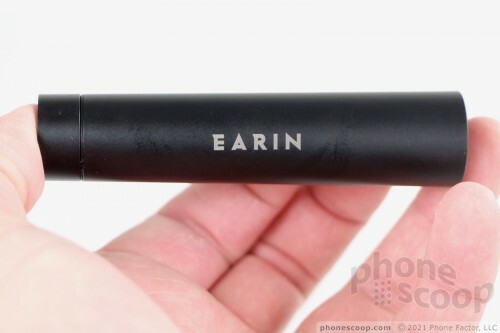 I Kickstarted the original Earins (now called M-1) and loved them, despite the issues with knowing if the pod had any charge left and bluetooth issues syncing between the two earbuds. These fix that, improve on sound and form factor, and add in microphones for calls and touch controls to boot. 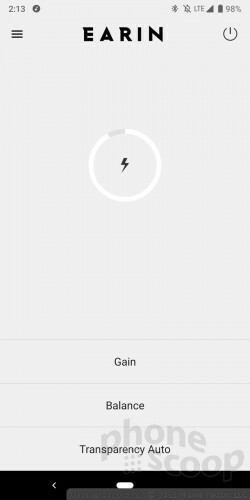 I'm not even sure I care about the touch controls as I have a smartwatch to pause things, and putting them into the pod also always paused stuff too. 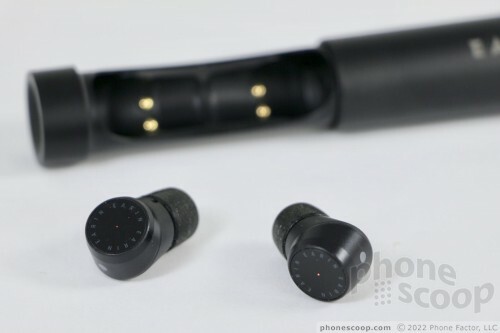 Either way, they are the best fully wireless earbuds I've encountered, and even better with Comply Tx-400 foam tips at your desired size instead of the slim profile foam tips packed with them.